The Dell XPS 14 and XPS 15 have been in the news lately but until this moment the US computer manufacturer Dell has not disclosed any specs of the novelties. Today it’s a different story – as the hardware specs of the new ultrabooks are now widely available. Don’t expect different products however – except for one thing. Starting with Dell XPS 14 the ultrabook is based on Intel’s latest Ivy Bridge processors and as the name suggests the XPS 14 sports a 14-inch 1600 x 900 pixel resolution display with Corning Gorilla Glass. The 22 nm CPU is complemented by 8 GB of DDR3 memory, a 1 GB NVIDIA GT 630M video card and a hybrid storage system that consists of a 500 GB hard drive and a 32 GB SSD drive. Finally there’s USB 3.0, DisplayPort and of course HDMI outputs. The XPS 15 is technically the same ultrabook – except that in this case you get a 15-inch Full HD display, again with Gorilla Glass protection. 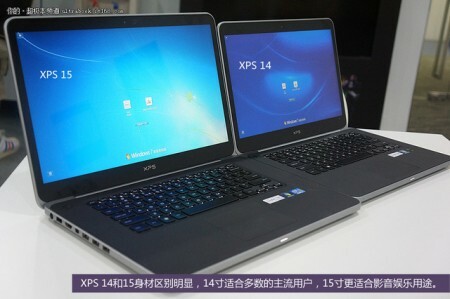 The Dell XPS 14 and XPS 15 are expected this summer, perhaps even in June.